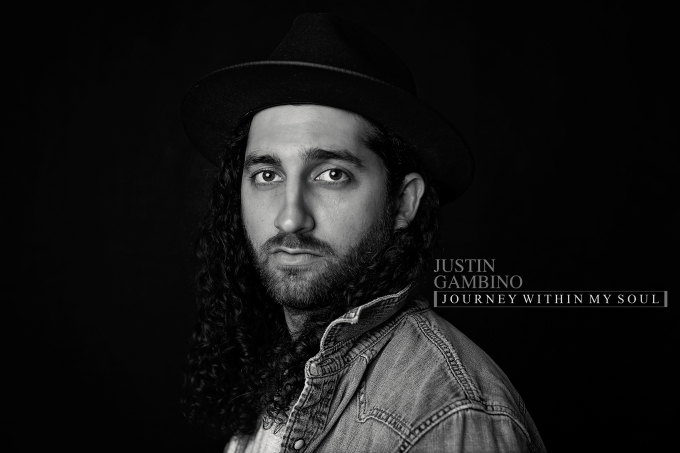 Justin Gambino, a songwriter, performer and recording artist from Houston, Texas, has just unveiled his new song 'Journey Within My Soul', taken from his forthcoming album of the same name. Justin is holding a Journey Within My Soul Album Release Party at The Clarion at Brazosport College on Friday, April 27, 2018, for an evening of music and hope all wrapped into one event. Journey Within My Soul comes from a place of making mistakes, yet knowing that there is a God who, despite of our failures, still calls us His friends. Justin is also the former front man, guitarist, main songwriter and founder of the alternative rock band, Shattered Silence. Gambino is now pursuing a solo career that leans more towards the acoustic folk rock scene. Launching a Kickstarter in early 2016, his fan base helped him raise over his original goal, to make his solo project become a reality. With a four song EP released in March of 2017, titled, “Where I Belong”, the four song project makes a statement with the four titles. “If I Seek & Find - Where I Belong - I’ll Become - Your Hands & Feet”. “Your Hands & Feet” was released in November of 2015 worldwide on GooglePlay, Spotify, iTunes, Amazon, iHeart Radio and many more. After being released to radio, the single has been heard and requested across the globe. After returning from his “Where I Belong” U.S. tour, Gambino aimes to release the full length album, “Journey Within My Soul” in early 2018, along with his next radio single, “For You My Heart”. Gambino was born in Brazoria County, Texas, in the city of Lake Jackson, just south of Houston, TX. Gambino, at the age of 17 and already playing the guitar and singing, started to play and sing in the church Youth Group while leading worship. Gambino then started to attend Brazosport College, Richwood in 2004, but later dropped out to start his eight year enlistment term with the U.S. Navy, where he served one tour in Iraq as a United States Seabee with NMCB (Naval Mobile Construction Batallion) - Twenty-Eight in 2007. When faced with the decision to re-enlist or to leave the Navy, Gambino was very passionate about his music and believed that he would go somewhere with it. A small record label out of Oklahoma helped him make his decision when they called him with a record deal to sign several months after submitting the original, “Your Love Runs Deep” from the album “Shadows” (released February 4, 2014 with Shattered Silence). Gambino then left the Navy to pursue his career in music, January of 2013. In the summer of 2015, Gambino took a leap of faith and quit his job, to pursue his dreams of creating and sharing his music with the world. Gambino is a committed follower of Jesus Christ; however, his goal has always been to make music for everyone. Gambino believes that music can speak where words can’t and he desires to write music not for a certain audience, but music that anyone can relate to in their own life. Gambino cites Jon Foreman, Switchfoot, Jeremy Camp, Dustin Kensrue, and Sleeping At Last, just to name a few, as some of his musical in..uences.